As of October 2017, PeaceGeeks is pleased to announce its involvement in the Signpost project in partnership with major humanitarian organizations International Rescue Committee and Mercy Corps. Learn more about Signpost here. 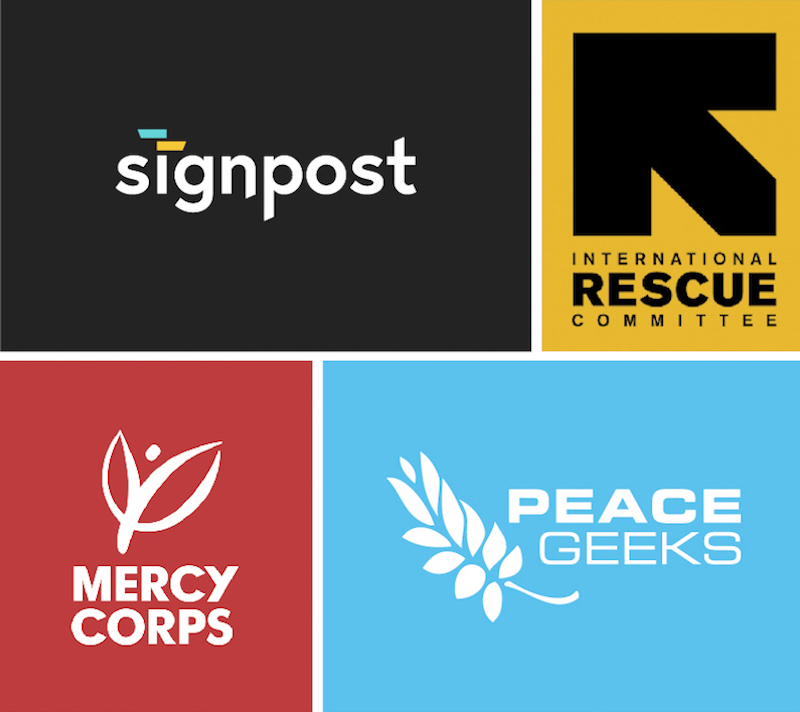 Signpost is an inter-agency collaboration between the International Rescue Committee (IRC), Mercy Corps and PeaceGeeks. Combining the efforts of PeaceGeeks' Services Advisor and IRC & Mercy Corps' Refugee.Info platforms, Signpost is a digital initiative providing the humanitarian community with a platform to reach refugees, asylum seekers and crisis-affected communities around the world with accessible information. Each Signpost channel provides users context-specific, up-to-date information on vital needs such as legal rights, transportation, and medical services in multiple languages — empowering individuals to make informed decisions at the most critical moments. Together, we aim to build the go-to platform for trustworthy, responsive and accessible humanitarian information for vulnerable communities in conflict and crisis worldwide. The platform harnesses social media and other digital tools to gather, share and exchange information that helps refugees and other members of vulnerable groups make critical life-saving decisions. These tools are designed to complement traditional human rights protection programming with the overarching outcome of reaching and increasing the safety of crisis-affected populations.